Are you looking for an easy and engaging way to provide repetitive practice to enhance your students’ learning? 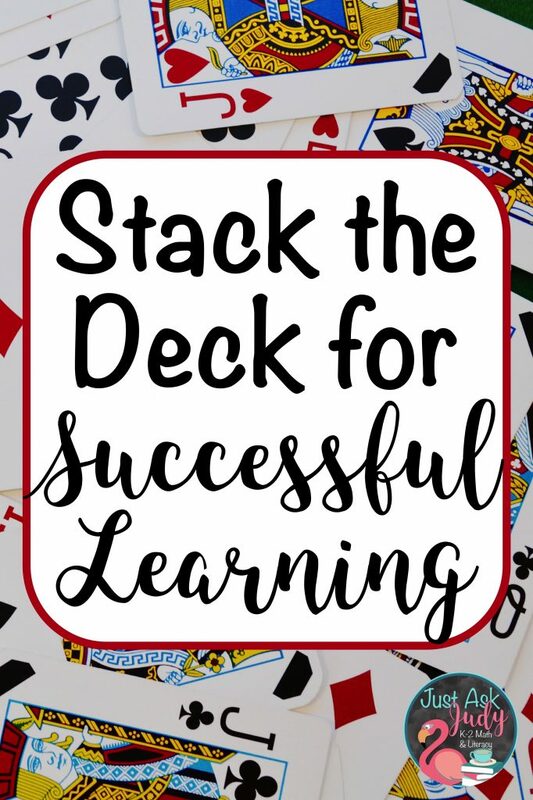 Stack the Deck is an activity that can increase the odds for successful learning. At some point during my teaching career, I read about this technique somewhere online! All you need for this activity is flashcards. Use this activity with any basic skill. 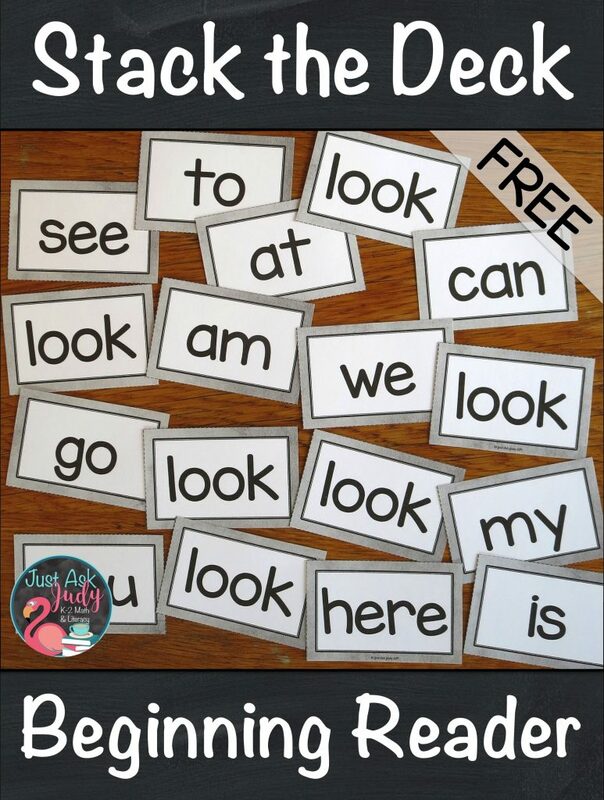 Try it with letter, numeral, name, or word identification. Implement this activity as part of your whole class introductory lessons. Or use it as an intervention activity to provide repetitive practice with individual or small groups of students who struggle with learning. Identify the skill you want your students to practice. For example, put together a set of flashcards with a number of single “foil” lowercase letters (i.e. a, p, s, m, v, c) and multiple copies of a single letter you are introducing or is difficult for one or more of your students (i.e. 6 or more copies of the letter g). What Does Stack the Deck Look Like? 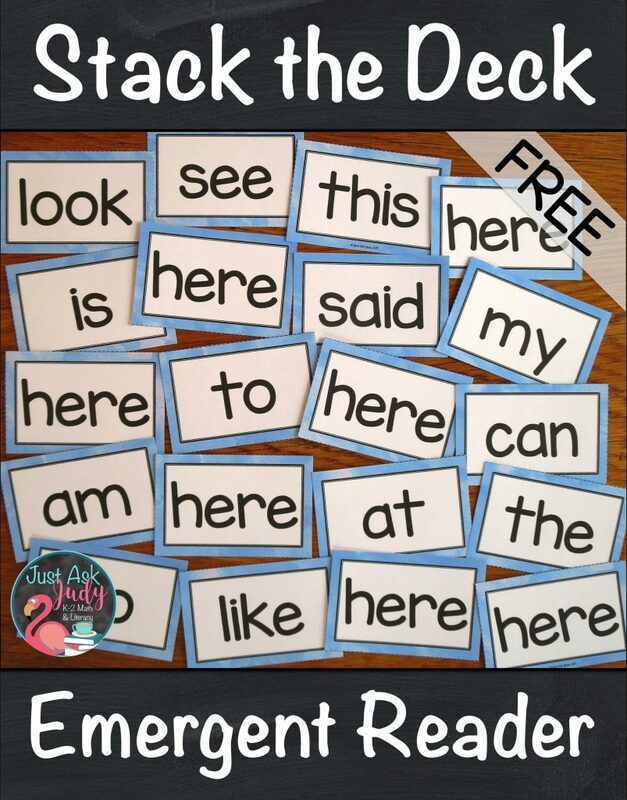 Here’s a free set of Stack the Deck flashcards with high-frequency words beginning readers typically encounter in emergent level text. To get started, I chose 16 words. I made a single set of flashcards with those 16 words. Then, I created a page with multiple flashcards for each of those words. Print out the single set of 16 cards. Choose one word to introduce or practice. Then, print one or two copies of that page which will give you 8 to 16 cards with that single word. Use card stock and laminate for durability. Cut out the cards. There is no special ratio of “foil” cards to “target” cards. Just consider the size of your group, their attention spans, and how much repetition is beneficial. Shuffle the deck of flashcards. Be sure to go over your target word. Show your students one card at a time. If the word you show is not the target word, your students stay quiet and still. If the word you show is the target word, your students read the word. They can also spell it first. For example, say l-o-o-k, look. In addition, they can pair physical motions with letters or words. 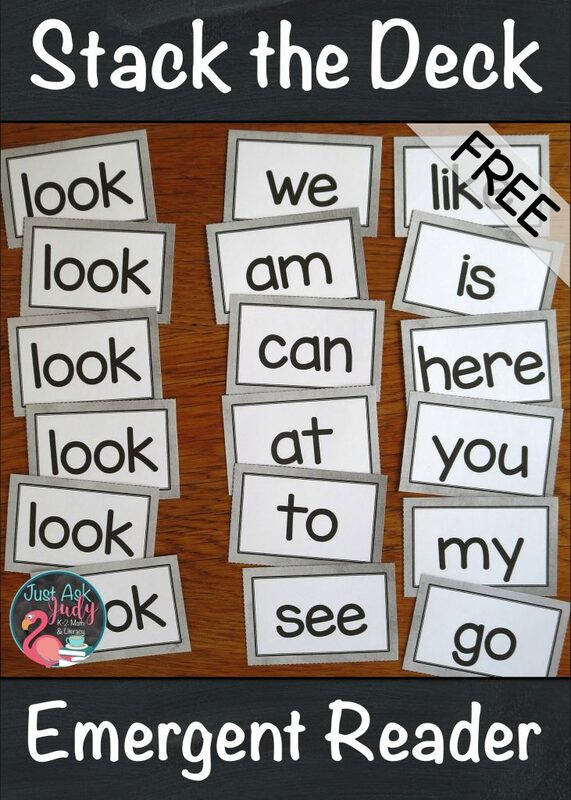 If you need ideas to get started, check out these free Sight Word Action Cards from This Reading Mama. By increasing the number of exposures to your target word and adding a kinesthetic component, you increase the odds for successful learning! Of course, you can make your own flashcards for this simple, yet fun activity. Do it the old-fashioned way with index cards and a marker. Or if you’d rather, create a set to print using a table in Word or Powerpoint. Recently, I created a deck of name cards for a grandchild to practice recognizing her name. 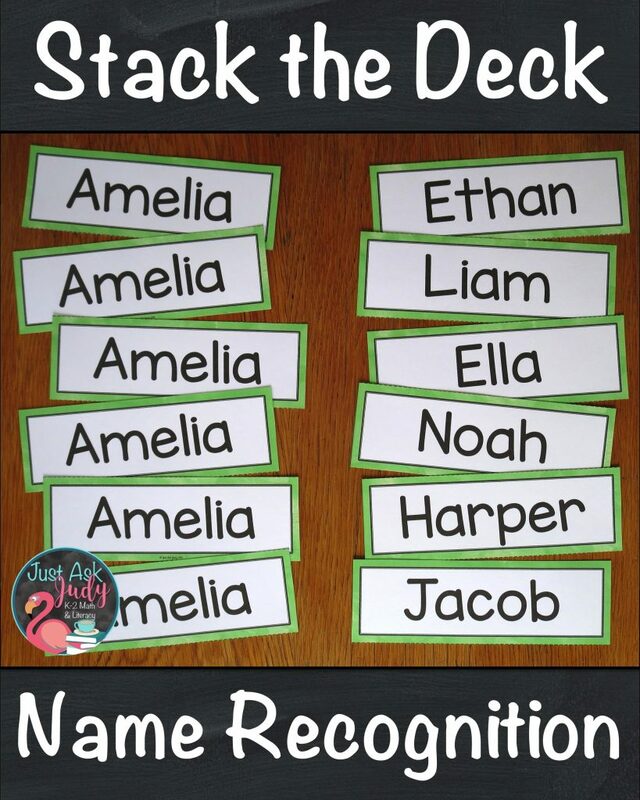 To create your own deck, use purchased name tags and a marker or find free editable ones online. If you prefer ready-made flashcards, I have several Stack the Deck sets and bundles available in my TpT store for purchase. They just received a cosmetic make-over! 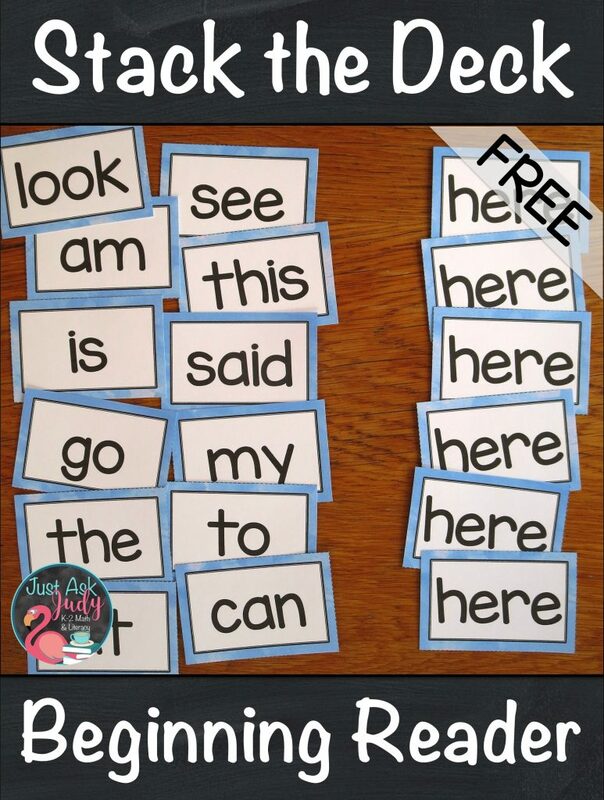 Click on the highlighted words to download your free copy of Stack the Deck Beginning High-Frequency Words. What are some ways you can use this activity to increase the odds for successful learning? Comment below to share. Be sure to read these blog posts for more ideas and resources for teaching high-frequency words. Title image photo is by Inspirationfeed.